We took a family vacation (Scott Sally and Miley came too!) 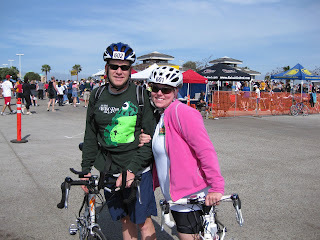 to visit San Diego for the triathalon. We all had an awesome time! We stayed in Mission Bay where the tirathalon was. 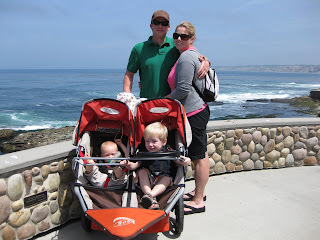 We also went by J's old stomping grounds in Lajolla and visited the Scripps Aquarium. Can't wait to go again!! 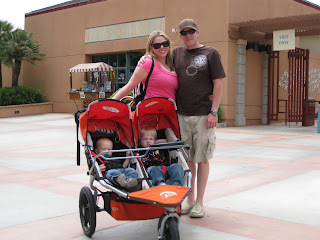 I love to see pictures of you and your whole family!! It makes me so happy....and henry looks so much like his daddy with his hair done! You look so cute and I am so proud you did a triathlon. I have always wanted to do one.